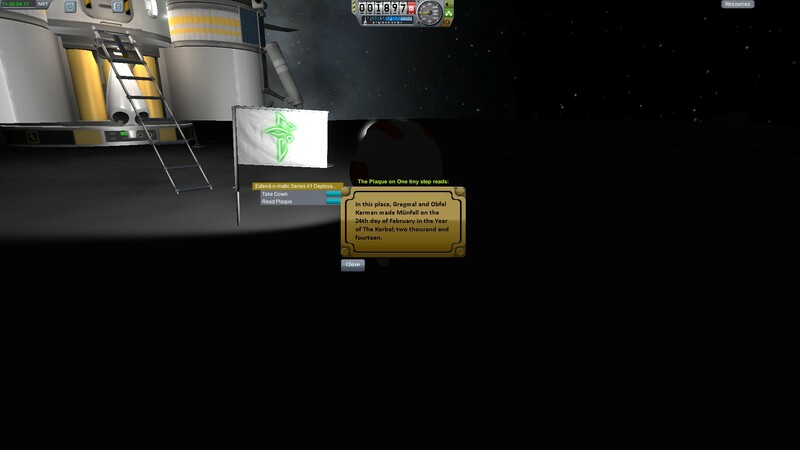 I finally got round to building and testing my new Mün lander in KSP. I’d been thinking about it for a while (and to be honest, this test has given me plenty of ideas for an upgrade), and today I finally got round to testing it. It needs more fuel aboard, but I can work that against mass quite easily, and eject the external tanks once it leaves the Mün. It looked pretty good and worked rather well too. Next Post: Ooh, new glasses!